Imagine your backyard complete with a stunning vinyl pergola. Looks perfect, doesn’t it? Garbrella builds a wide range of vinyl pergolas and DIY pergola kits that enhance backyards all across the country. In addition, we provide a variety of low-maintenance, high-quality outdoor living products, built and designed by true Amish craftsmen in Lancaster, PA. Some of our standout accessories include picnic tables, outdoor furniture, playsets, and railing systems. 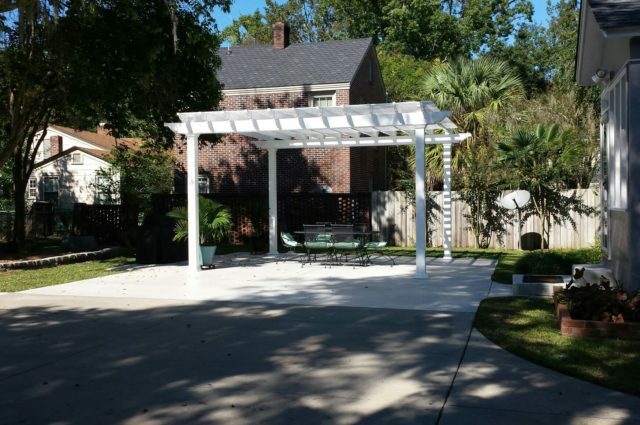 We make it easy to enjoy your vinyl pergola — whether you opt for a pergola kit or not. When you partner with Garbrella, delivery, and installation can be handled by our skilled and experienced installers. 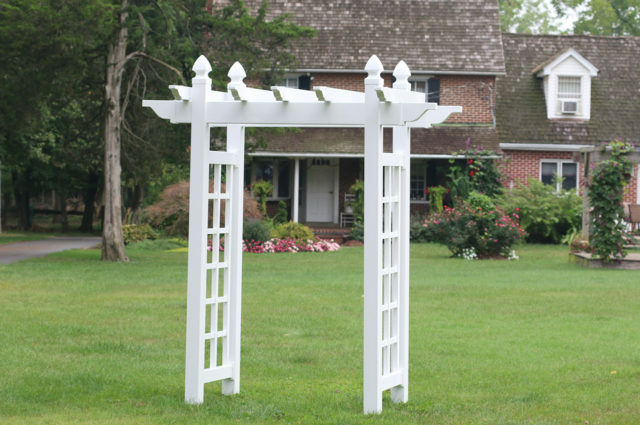 Learn more about what makes Garbrella the name to know for Amish-built pergolas. Whether it’s a safe, fun play area for your kids or a backyard BBQ with your friends, Garbrella is your one-stop shop to make your backyard come to life. You have the choice to shop online or send us an email for quote requests or questions. 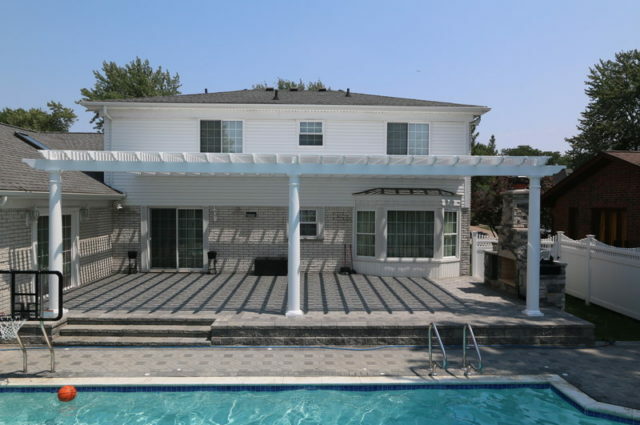 In addition to crafting jaw-dropping vinyl pergola kits, we strive to outfit families with everything they need to make their outdoor living space perfect, in whatever way is most convenient for them. You will never want to leave your backyard once your Amish vinyl pergola kit is installed. Your backyard will be the destination for fun and friends for the whole family. That all starts with your show-stopper vinyl pergola. If you want to order your dream pergola, you can choose from our wide selection of quality, attached or free-standing pieces. 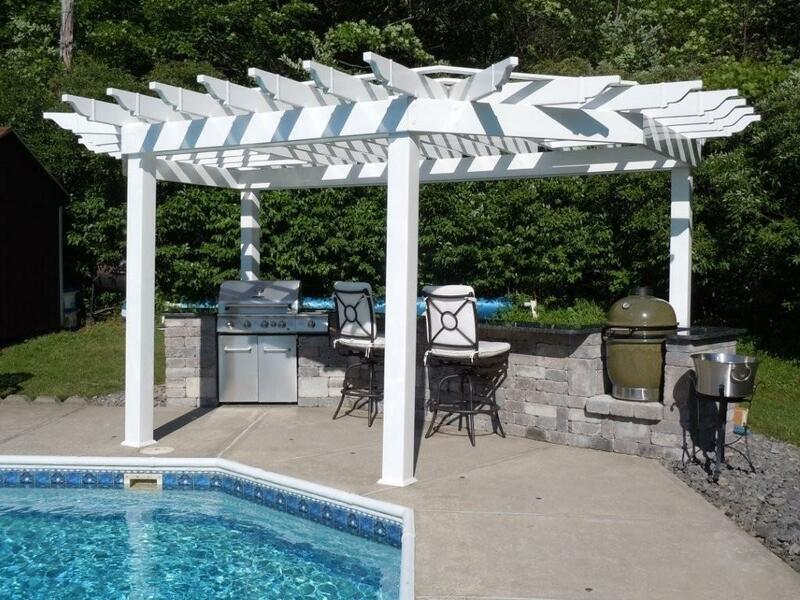 For a pergola that is designed specifically to your taste and the size of your outdoor living area, check out our custom pergola kits! Adding a pergola to your backyard will not only provide shade and comfort to your outdoor relaxation, but also add a phenomenal wow-factor, courtesy of its stunning beauty. If you are the hands-on type and want to install your vinyl pergola kit on your own, we can deliver a complete kit right to your home. However, if you’d rather let the professionals do the work, our Amish craftsmen will provide you with delivery and total installation! We can assure you that our pergolas, and other outdoor structures, are made with superior materials and give you a value you can trust to last you a lifetime. If you are interested in Amish vinyl pergola kits, request a quote or ask for more information today. If you would like to view our selection of different options and colors, ask that we send you one of our FREE pergola sample kits! We’re always happy to talk to customers about how our Amish-built pergolas and outdoor living accessories can enhance their backyard décor. 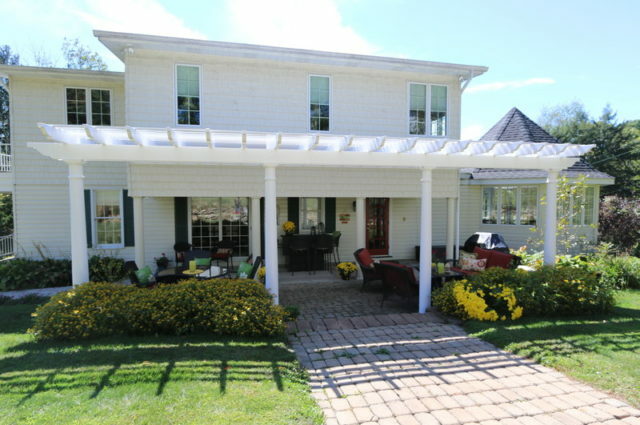 Located in the heart of Lancaster County, PA, Garbrella is a true Amish pergola builder. We strive to make our customer relationships last as long as the pergolas and outdoor accessories we build. 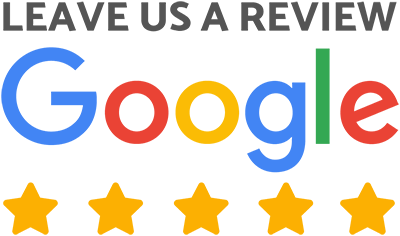 We do this by providing top-notch service and products that last a lifetime. We love seeing customers start with one Garbrella outdoor accessory and adding more, showing that they keep trusting our workmanship. We can almost guarantee that our vinyl pergolas are cleaner looking, stronger, and longer-lasting than most of our competitors. All parts and pieces are assembled and manufactured in the USA and are backed by a Lifetime Warranty. Get started on your vinyl pergola order now!